City Restaurant Week, the highly-anticipated annual culinary event, returns to Wilmington next month with a roster of local restaurants that range from casual to fine dining. From April 8 – 13, 15 participating restaurants will serve up a delicious array of inventive two-course lunches for $15 and three-course dinners for $35 (excluding alcohol and gratuity). Sponsored by the Great Wilmington Convention and Visitors Bureau, along with a host of organizations, City Restaurant Week highlights the best of Wilmington and, for a limited time, offers food lovers the opportunity to dine at some of the area’s best eateries for unbelievably discounted prices. An event that is equally about celebrating the artistry of local chefs and food, none of the participants are chain restaurants and each is unique in its own right. Specially-curated menus provide a tasty navigation through the city’s culinary landscape and often highlight each restaurant’s specialties with the occasional menu introducing dishes specifically created for the event. Diners can expect to be treated to a diverse assortment of options. Perennial favorite Café Mezzanotte will serve traditional dishes like gnocchi Bolognese and pappardelle ragu while downtown hotspot Tonic Bar & Grille ups the creativity ante with purple potato Vichyssoise, BBQ hearts of palm cakes, and a remaining menu whose global touches will transport even the most well-traveled diner on a journey around the world. 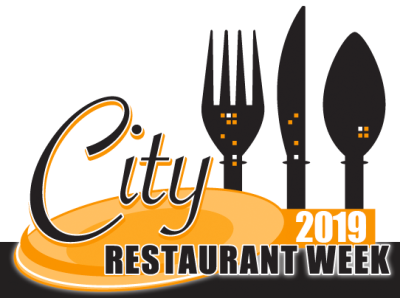 City Restaurant Week presents the perfect opportunity to visit a long-time favorite or to try something new and a week is plenty of time to sample a variety of dishes. If your mouth is watering right now and you’re eager to start planning your must-visit list, the lineup of participants can be found here. Don’t want to dine and dash (out of the city)? Extend the fun and book a room at a local hotel and enjoy all that Wilmington has to offer. Or, start with our free visitors guide.